Diagnostics. It’s very handy to have for basic diagnostics on computers that are having issues. Linux Computers. If you have a Dell laptop with Linux OS installed, and the BIOS updates for the computer are only available as Windows .EXE program files, you can startup with Windows PE, install the BIOS updates, and then restart to Linux again. Data Recovery. With a computer that won’t startup because of corrupt system files, you can startup with Windows PE and access the hard drive. To create your own bootable Windows PE USB flash drive, follow these instructions. Start the Deployment and Imaging Tools Environment as an administrator. This command reformats the drive. The Windows PE boot disk described above starts up to a command prompt. You’ll probably want a familiar user interface. A popular one is FreeCommander. If you’re using Avast AntiVirus for Mac and would like to use the Apple Mail program, you may notice a security certificate error when trying to access your email provider. Avast has a 23 page document explaining how to correct this error. The steps involve exporting a certificate from Avast and importing it into your mail client. If you don’t care about scanning inbound emails, you can enter your email server address as an exception and Avast won’t try to scan emails from that server. See the example below. To find this screen, open Avast, choose Preferences, then select settings for the Mail Shield. Press the + button to add your mail server. Replace the example below with your own email host. Use POP or IMAP as needed. If you’re using an Apple Cinema Display as a secondary monitor for your MacBook laptop computer or iMac, you may have noticed that sometimes the brightness control is missing from System Preferences > Displays. There may be a variety of reasons for this, but one cause is easy to fix. If the USB cable from the display isn’t attached to your computer, the brightness slider will be missing. The display will continue displaying the brightness that it last had until you connect the USB and change the brightness level again. This was tested and documented using a 2008 era 24″ Apple Cinema Display connected to an Apple iMac (21.5-inch, Late 2013). The issue likely impacts other system configurations. Computer problems? Time for an upgrade! Usually when a computer crashes, the first thing people think about is getting it restored to normal operation. The effort required to restore a computer to working order is significant. Typically replacement parts are needed. The process of reinstalling the operating system, programs, and data files, is hugely time consuming. If what you end up with is a computer identical to what you had prior to the crash, then you’ve just lost a lot of time and money for no marginal gain in performance. However, if you take the opportunity to upgrade your computer’s hard drive to an SSD hard drive, then you can have a large performance gain. It’s also a good time to consider upgrading memory since you’ll be inside the computer anyway. Hard Drive. Here are the steps required to upgrade your computer to an SSD drive. These instructions are for advanced users only. Purchase an SSD Drive. You’ll want to purchase an internal SSD drive, click here to learn more about the best choice of SSD or something with similar features. Backup. Make sure you have a good backup of your files. Install SSD. Remove your old hard drive and install the SSD drive. Follow the Windows Setup instructions to complete the process. Memory. For memory upgrades, Crucial.com has a system scanner that helps find the most compatible memory for your computer. If possible, it’s good to upgrade to the maximum amount of memory possible for your computer. The following is from Apple’s support website as of 22 Feb 2016. It’s being reproduced here for archival purposes, easy reference, centralized searching, and also to be disseminated through our social media and network of followers. An email alias is an email address that conceals your actual email address from a recipient. You could create an alias to use when buying items from online stores, signing up for mailing lists, and registering online, and reserve your real email address for use with family and friends. In this way, aliases can help you better manage the email you receive and monitor the sources of unwanted messages. You can also send email using an alias. You can have up to three active email aliases, and you can delete or turn off an email alias at any time. You might want to turn off an alias if, for example, you use an alias to make a purchase. After you receive the item, you can turn off the alias to avoid follow-up advertisements, then turn it on again when you make another purchase. Deleting an alias is permanent, so if you think you might want to use the alias again, you should simply turn it off. When an alias is turned off, all email sent to that alias is returned to the sender. Note: If you had five MobileMe email address aliases when you moved your account to iCloud, you retain the five aliases. However, once you delete one of your five aliases, you can’t create a new one to replace it. Aliases are not transferable. Only the iCloud account that created the alias can use it as an email address. You can’t use an alias to sign in to iCloud.com, and you can’t use an alias to create a separate iCloud account. In iCloud Mail, click the Action pop-up menu in the sidebar, then choose Preferences. Alias: The text you provide becomes the email address (alias@icloud.com). An alias must contain between 3 and 20 characters. Full Name: The name you provide appears in the From field of the recipient’s email. Label: iCloud Mail uses the label to categorize messages sent to your account. Label Color: Messages appear in your Inbox with the colored label that you specify. Click OK, then click Done. 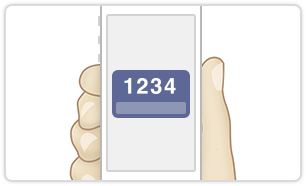 To choose a new color for incoming messages, click a Label Color option. Alias labels appear only in the iCloud Mail app on iCloud.com. To change the name or label, enter a new alias name and label in the fields provided. Alias names must contain between 3 and 20 characters. When an alias is turned off, all email messages addressed to that alias are returned to the sender. To delete an alias, click Delete. Click the “Set a default address” pop-up menu, then choose the address you usually use. In the list of addresses, select the ones you want to be able to send from while using iCloud Mail. The selected addresses appear in the From pop-up menu when you create a new email message. For instructions, see Send email using an alias. If you created aliases or you have an @me.com or @mac.com address in addition to your @icloud.com address, you can choose one to use as the default address when sending mail from your iCloud account. In iCloud Mail, follow the instructions in “Select addresses you can send from,” above. On your iOS 8 device, go to Settings > Mail, Contacts, Calendars > iCloud. In the Advanced section, tap Mail, tap Email, then tap the address you usually want to send from. On your iOS 7 device, go to Settings > Mail, Contacts, Calendars > iCloud > Account. Tap Mail, tap Email, then tap the address you usually want to send from. On your Mac, open Mail, then choose Mail > Preferences. In the Composing pane, click the “Send new messages from” pop-up menu, then choose the address you usually want to send from. Two-step verification is now available for Apple ID account holders. The information below is an overview from the Apple website. You need to sign-in to see these instruction on the Apple site, which you probably can’t do if you’re having trouble with logging in. Two-step verification for Apple ID. With two-step verification, your identity will be verified using one of your devices before you can make changes to your account, sign in to iCloud, or make iTunes or App Store purchases from a new device. (1) You enter your Apple ID and password as usual. (2) We send a verification code to one of your devices. (3) You enter the code to verify your identity and complete sign in. You will also get a Recovery Key for safekeeping which you can use to access your account if you ever forget your password or lose your device. Once enabled, the only way to make changes to your account will be to sign in with two-step verification. There will be no security questions for you to remember or for other people to guess. Only you will be able to reset your password. If you forget your password, you can reset it with a trusted device and your Recovery Key. Please make sure you understand the important security policies below before you turn on two-step verification. If you forget your password, you will need your Recovery Key and a trusted device to reset it. Apple will not be able to reset your password on your behalf. 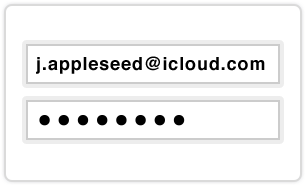 App-specific passwords will be required to use iCloud with any third party mail, contacts, or calendar apps. TiVo. For about $12 a month, the TiVo subscription service provides a sophisticated user interface and intelligent content searching system making it easy to find and record all of your favorite shows to hard drive media system. A TiVo Roamio DVR deck is required. The basic Roamio system is $200 and records up to 500 hours of programming. The Roamio Plus is $400 and records 1,000 hours of programming along with the ability to watch recorded videos on your mobile device while away from home. To record to DVD, you’ll need Roxio Media Creator (for Windows) or Roxio Toast (for Apple). However, compatibility with TiVo has diminished over the years, and support seems to be nonexistent with only user support forums as a resource. Panasonic DMR-EH69 DVR. A Panasonic DVR system doesn’t have the intelligent channel guide and show searching features of TiVo, but that also means there’s no monthly subscription fee. Once you determine which channel your shows are on, you can program the deck to record them. The 320GB deck is the best choice and can be purchased from Amazon ($450) or World Import ($439). So, it’s similar in price to the TiVo Roamio Plus deck, yet with fewer hours of recording capacity. Read more on Amazon. Magnavox MDR557H/F7. At $326, the Magnavox DVR system with 1,000 GB of storage is by far the best value and offers about 3X the storage of a Panasonic desk. Read more on Amazon. To create DVDs on a PC, you will need to install Roxio Creator. Visit the Roxio Creator 2012 home page for more information or to purchase Roxio Creator 2012. Before you begin, make sure that you have transferred your shows to your computer using TiVo Desktop software for PC. Watch the video tutorial or download step-by-step instructions. To create DVDs on a Mac, you will need to install Toast 10 Titanium. To burn Blu-ray discs or HD DVDs of your high-definition TiVo recordings, you will also need the optional HD/BD Plug-in. Visit www.roxio.com/mactivotogo for more information or to purchase Roxio Toast Titanium software. Before you begin, make sure that you have transferred your shows to your Mac using Roxio Toast Titanium software. Select the “Video” category, then select the “DVD-Video” project type from the left navigation window. Select the show(s) you want to add, and drag them to the Toast window. Your selected shows will be added to your DVD-Video project. In the DVD-Video left navigation window, choose a menu style. Click the red button on the bottom right of the screen to burn your DVD. Note: If you have Toast Titanium and the HD/BD Plug-in, you can also create Blu-ray discs and High-Definition DVDs from your high-definition TiVo recordings. See the Toast Titanium User Guide for more about creating DVDs. The MSI Z87I AC motherboard has several advantages: it’s small, has plenty of I/O ports, has two Ethernet ports, has integrated video, and comes with powerful wireless capabilities (the AC model includes 802.11ac wireless rather than 802.11n in the Z87I). The information and suggestions on this page are specific to the Z87I AC, but would generally apply to other motherboards. As of October 2014, the motherboards are shipping with version 1.5 of the BIOS that was originally released on 7 January 2014. This is several revisions out of date and has various problems associated with it that are described on this page. The most recent version of the BIOS at this point is version 1.8 released on 18 July 2014. For the most current BIOS, visit the MSI BIOS download page for the MSI Z87I AC. For the reasons described further down on this page, it is essential to update your BIOS. To update your BIOS, follow these instructions. Visit the MSI BIOS download page for the MSI Z87I AC. Download the most recent BIOS. Double-click the file to expand/open it and find the BIOS file. It should have a name like E7851IMS.180 (for version 1.8). Put that file on a USB flash drive. Startup your computer and press DEL to enter the BIOS settings mode. Click on the M-FLASH menu option to view the BIOS flash update menu. Choose your USB flash drive from the list. Select the file from the list. 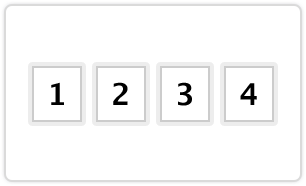 Follow the remaining on-screen instructions and watch the computer closely to ensure the process goes smoothly. The computer may automatically restart once the BIOS update is complete. With BIOS version 1.5 the computer will shut down properly. However, if you choose the Restart option from within your operating system, or from within the BIOS, it won’t restart. It will just go to a blank screen and not do anything further. This problem is solved by upgrading the BIOS from 1.5 to 1.8. From the Settings menu, choose Advanced. Choose Wake Up Event Setup. Resume from S3 by USB Device is set to Disabled by default. Click this and choose Enabled. Click the ‘X’ in the upper right corner to Exit the BIOS settings and be given an option to save configuration and restart. You may notice that the BIOS System time appears to be incorrect, and no matter how many times you attempt to reset it, the time is incorrect again. For example, if you’re on Central Daylight Time, you the system time may be five hours ahead. This is actually not an error. Central Daylight Time is UTC -5 hours and the system time is set to display UTC (Universal Time Coordinated or Coordinated Universal Time). So, the time is always automatically setting itself to UTC. Settings > Advanced > Intel Rapid Start Technology. This should be enabled for the fastest startup times. Settings > Advanced > Power Management Setup > Restore after AC Power Loss. Click this and choose Last State or Power On if this is a computer that should be always on. If the power is interrupted, the computer will restart automatically when the power is restored. Settings > Advanced > Windows 8/8.1 Features. This should be enabled if you are running Windows. Otherwise, leave it disabled (if you’re using Linux, for example). Settings > Advanced > Wake Up Event Setup > Resume from S3 by USB Device. You will probably want the ability to wake the computer (or turn the display on from sleep mode) by using the keyboard or a mouse click. This feature is off by default. Click and choose Enabled. You can learn more by visiting the MSI Z87I AC webpage. Below are photos of the MSI Z87I AC motherboard. Click here for instructions on how to obtain the download.